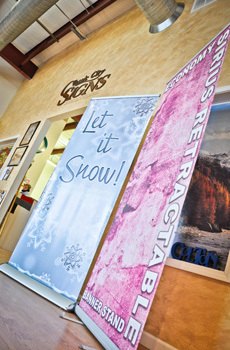 Banners are portable and affordable way to put your message in many places. 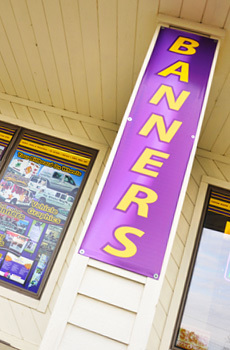 Banners draw attention from a distance, promoting your business, organization, products and special pricing. Great for showrooms, tradeshows, and POP displays.